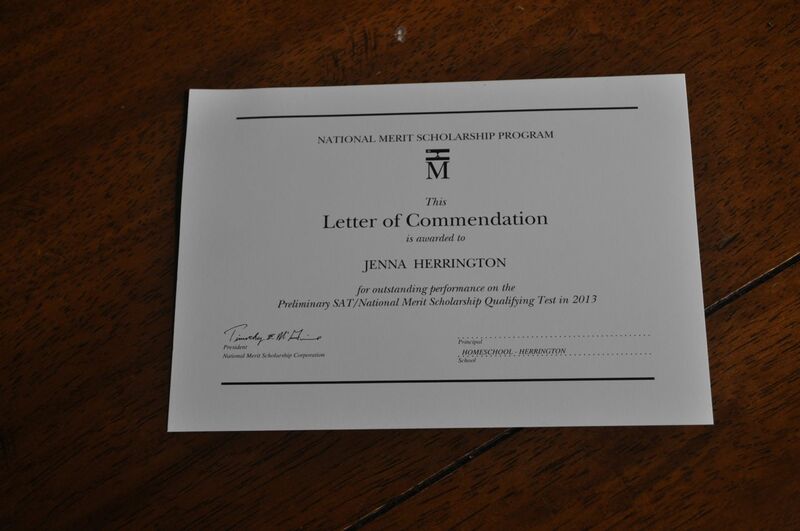 Jenna found out today that she was a commended scholar on the PSAT that she took last year. That means she was in the top 3% in the nation for students who took the test. 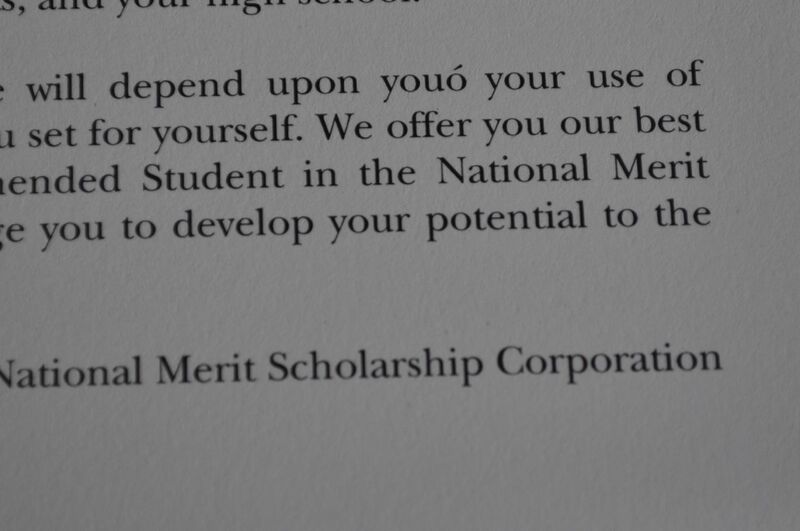 Of course, the National Merit Scholarship Corporation could have used her editing skills.